Coverage under the Toyota plan includes oil and filter changes, tire rotations, lubrication, a 19-point inspection and 24-hour roadside assistance. TOKYO -- Toyota Motor Corp., aiming to restore customer trust after a recall crisis, is launching two new U.S. service plans that will come standard with Toyota and Scion brand vehicles. 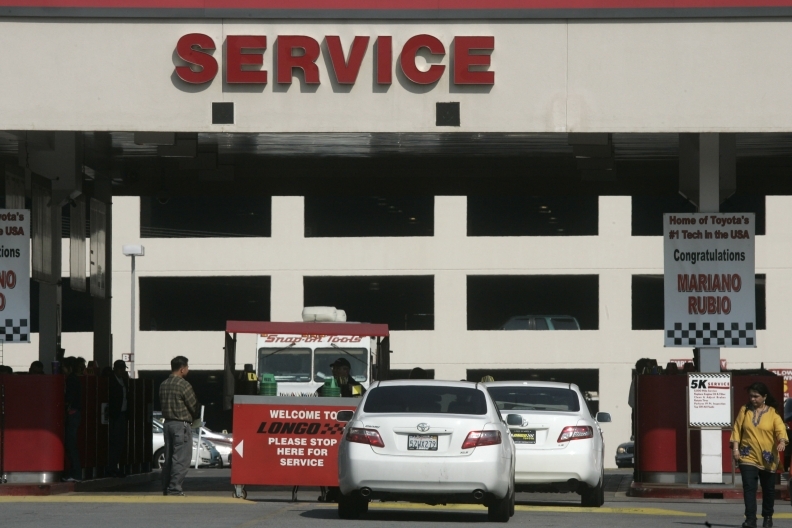 Called Toyota Care and Scion Service Boost, the plans will offer free factory scheduled maintenance and 24-hour roadside assistance for two years or 25,000 miles, whichever comes first, the company said in an Oct. 6 statement. The plans take effect immediately. Toyota said the offer makes it the first full-line brand to provide a complimentary maintenance plan as a standard feature. No-cost maintenance plans were rolled out last spring as part of an initiative to win back buyers following an outbreak of recalls, mostly for unintended acceleration. But the Japanese carmaker said it decided to make the plans standard after 73 percent of the customers with the support service said it improved their confidence in Toyota. The company will publicize the new plans through a nationwide advertising blitz that began Oct. 6. Toyota's reputation for quality and reliability took a hit this year as its recalls mounted. Since last fall, the company has called back more than 13 million cars worldwide for a variety of problems, from sticky gas pedals to braking software glitches and stalling engines. “The two complimentary maintenance plans were developed to help improve overall cost of ownership and provide invaluable peace of mind for our customers,” Bob Carter, Toyota Division group vice president and general manager, said in the company's release. The plans cover all normal factory-recommended maintenance services outlined in each vehicle's owners manual, including oil and filter changes, tire rotations, lubrication of key chassis parts/components, a 19-point inspection and 24-hour roadside assistance. Roadside assistance covers lockout protection, flat tires, towing and jump starts. The plan's media campaign will be led by the ad agency Saatchi & Saatchi. It will encompass television ads, and expand into print, outdoor, online and digital later in the month.